Although it is only October, those of us in the crafting world are moving onto Christmas. And every Christmas I add to Tea Light Village. I started this series in 2013 and it has just gotten better every year. This year it is arranged on a mantle. There are two new buildings for 2017 - a Tudor House and the Clock Tower Library. The house has the off-center dormer and curved door as Tudor characteristics. And the Clock Tower adds another municipal building to the village. The cutting files for these are available at 3dcuts.com here. This year I have also solved the lighting issue. If you have been building the village right along you have learned that turning 14 different tea lights on and off is a real bother. It was for me so I tend not to light up the village. It really is much prettier when lights are glowing out the windows. So I spent some time thinking about it. What I really wanted to do was use the remote control string fairy lights instead. They all turn on with one press on the remote button. Easy! But I don't like seeing the wires and stray lights between buildings. So I designed a solution. I have a complex village with 16 different buildings. 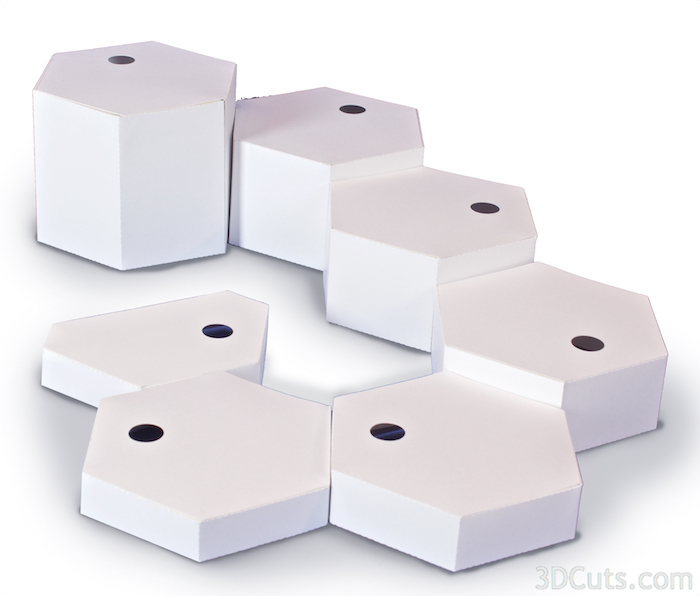 Here is the underside of the hexagon bases showing the wiring of the fairy lights. 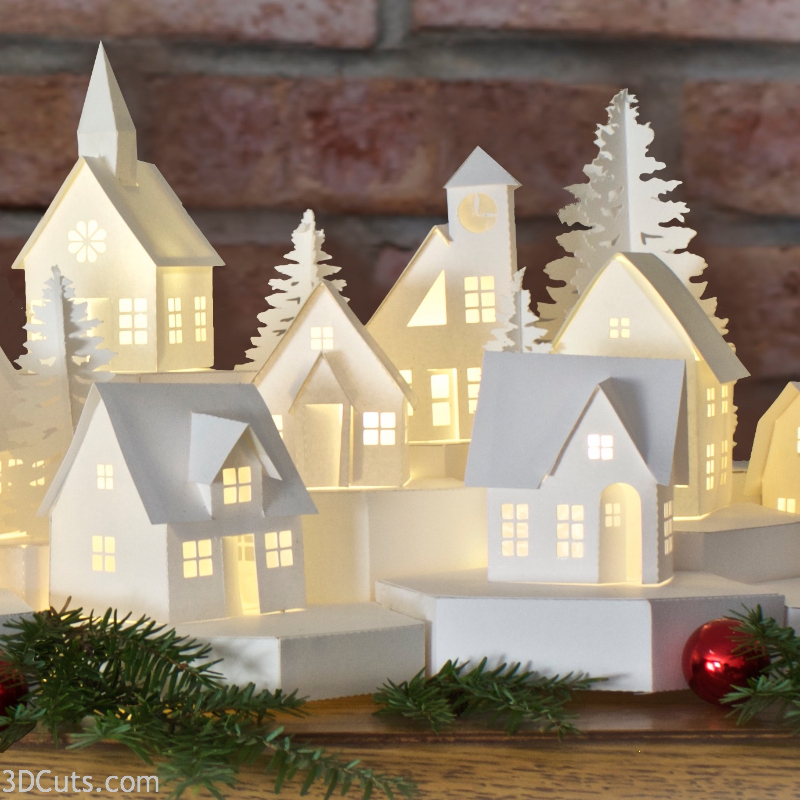 It was very easy to do and I have put together a great tutorial for you to also upgrade your tea light village. Definitely time to start craft for Christmas!